The May Design Series (MDS) opens its doors on Sunday, 17 May at 10am. Running over three days at ExCeL Centre in London, this year’s exhibition and conference has been invigorated with a focus upon the business of design following extensive research into the needs of international retail, residential, commercial and hospitality design communities. Unlike kbb Birmingham, MDS is an interiors event rather than a show dedicated to kitchens, bedrooms and bathrooms. The 2015 show features exhibitors cherry-picked from around the globe all bringing their stylish, innovative and commercially viable designs to one easily accessible hub in London. Many brands are exhibiting in the UK for the first time, with 70% of the 500 exhibitors brand new to the show, and 50% international companies from over 25 countries. A wealth of interior design inspiration can be discovered across five sectors: Furniture, Lighting, Décor, KBB, and DX – areas that showcase ideas in the making to provide a glimpse into the future. 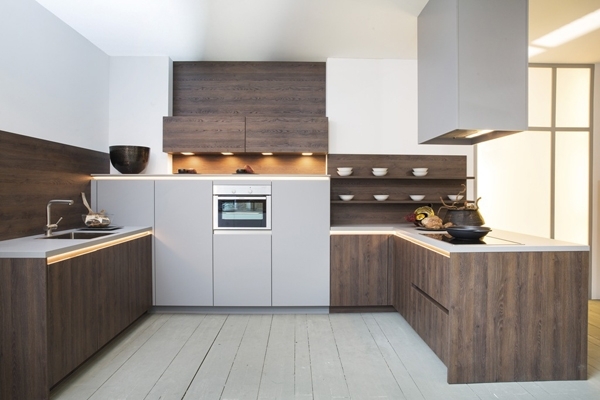 Exhibitors in the kbb sector include Rotpunkt who will be presenting for the first time in the UK kitchens selected from its presentation at Living Kitchen 2015 in Cologne. An increasing trend for mixing textured woodgrains with grey matt finishes will be shown using the new Dark Real Oak combined with new Grigio soft grey matt. The display will also show the two new metal handrail profiles, G78D with chamfered edge and the Square profile, which again offer more choice. The new Zerox Plus with aluminium trim at the top and bottom of the door for a very contemporary look will also be shown.